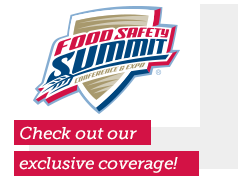 Food Safety Strategies | For Food Safety Professionals across the food and beverage supply chain. Mondelez Global LLC recalls certain Chewy Chips Ahoy 13oz due to unexpected solidified ingredient in product in the U.S.
Mondelēz Global LLC announced today a limited voluntary recall in the United States of certain Chewy Chips Ahoy 13oz cookies. Is IoT the future of food safety? According to a new NIST report, blockchain technology is being used to provide not only tamper-resistant transmission of manufacturing data for making machine parts, but also perfect traceability of that data to all participants in the production process. CBD holds massive potential across every area of food and beverages. According to The Brightfield Group, the U.S. hemp-derived CBD market could hit $22 billion by 2022. FSIS encourages establishments to voluntarily adopt and implement a Food Defense Plan (FDP), and to conduct training and exercises to ensure preparedness. PSSI, which sends in its teams to clean and sanitize many top food facilities, has made changes to reinforce how it helps protect the food supply. Food processors have a mandate to ensure that they have someone with a new title on board: the preventive controls qualified individual, or PCQI. While robots are taking over dangerous jobs in newer automated meat and poultry plants, the rest still use mostly manual labor.